Drive awareness of Soundcloud Go through the promotion of their electro DJ competition. From supporting a study session in the library, to setting the tone before a night out, music is a huge part of students lives. Music is a form of identity, and those who are really passionate for it are proud to share their interest in, and knowledge of, the music scene they love the most. 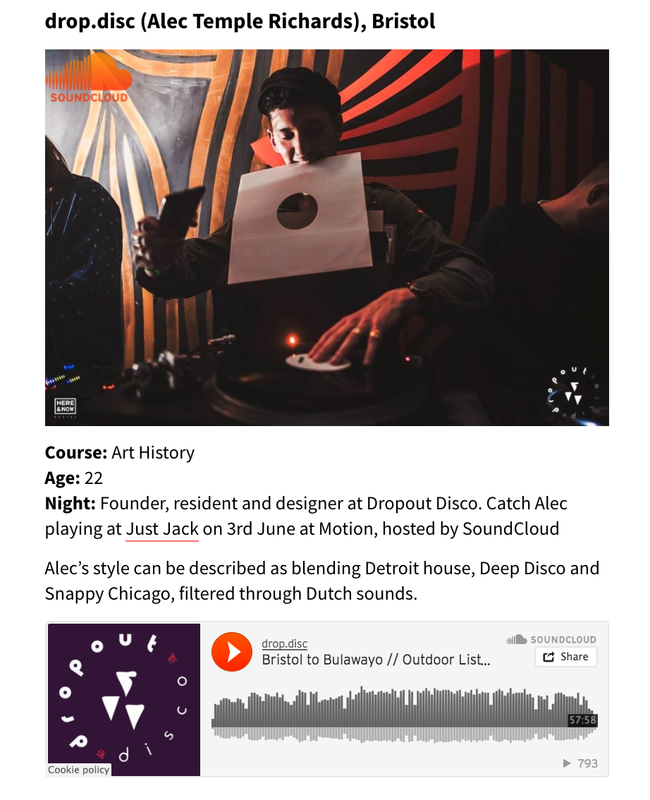 So, we collaborated with Raptor, the student brand activation agency, to profile a collection of the best up-and-coming house, techno, disco and garage DJ's currently at uni.